LEMIEUX, RODOLPHE (baptized Rodolphe-Toussaint), journalist, lawyer, professor, and politician; b. 1 Nov. 1866 in Montreal, son of Hormisdas-Alphonse Lemieux, a postal clerk, and Philomène Bisaillon; m. there 15 May 1894 Berthe Jetté in the parish of Saint-Jacques, and they had four children; d. 28 Sept. 1937 in Montreal and was buried there 1 October in Notre-Dame-des-Neiges cemetery. The Lemieux family’s forebears probably came from Rouen, France. The first Lemieux native to New France, Guillaume, was born in the town of Quebec in 1648, and married Élisabeth Langlois in 1669. In 1874 Rodolphe Lemieux’s father began working as a warehouse inspector with the customs department. This position made it necessary for the family, who usually lived in Montreal, to move from time to time, depending on where Hormisdas-Alphonse was assigned to work. As a result, young Rodolphe attended many different schools. A teacher by training, his mother could, when necessary, fill in the gaps resulting from these frequent moves from one institution to another. From 1874 to 1878 Rodolphe studied with the Frères de la Doctrine Chrétienne in Montreal, and then at the Petit Séminaire de Sainte-Thérèse and the Séminaire de Saint-Joseph des Trois-Rivières. From 1878 to 1881 he attended the Séminaire de Nicolet, where he did part of his classical studies, from his second year (Syntax) to his fourth (Poetry). By his own account, he was not a model student. Rodolphe discovered the world of politics through his father. A member of the Institut Canadien in Montreal, Hormisdas-Alphonse attended Liberal meetings and, among other activities, in 1878 was involved in organizing the federal election in the Trois-Rivières region. Ernest Pacaud* and Wilfrid Laurier*, whose paths would one day cross that of young Rodolphe and who would influence his political choices, were among his father’s acquaintances. In 1882 Rodolphe began studying law at the College of Ottawa, the city to which the Lemieux family had just moved. 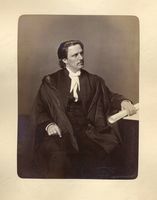 Since he skipped classes to attend sessions of parliament and hear the great orators of the day, including Sir John A. Macdonald*, Joseph-Adolphe Chapleau*, Edward Blake*, and Laurier, he left the university without graduating. Lemieux returned to Montreal in 1884. He did not give up the idea of studying law, but his father was in no position to pay his expenses. He decided to look for employment in the field of journalism. In 1884 he began working at the Times, an English-language newspaper in Montreal. From there he moved to Le Monde (1884), La Presse (around 1885), and then La Patrie (1886), where his schedule allowed him to continue both his work and the study of law, which he had just begun at McGill University. He frequented Liberal political clubs, where he met people who would make a lasting impression on him, including Lomer Gouin* and Honoré Mercier*. Attracting attention by his eloquence, he was soon in demand as a speaker. 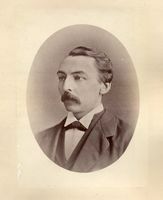 He participated in his first public meeting on 18 July 1886 to support the candidacy of Raymond Préfontaine* in the federal by-election in Chambly. 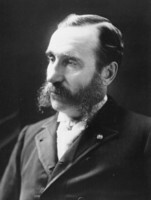 As an active member of the Liberal Party, Lemieux had to make a choice in 1888 between the radical and the moderate Liberals. He opted for the latter, the camp of Mercier and Laurier, who would take him under their wing. It was probably his father’s influence that led him to those practising conciliation. This political choice was confirmed in his professional life. He left La Patrie, whose editor was the radical Honoré Beaugrand*, and moved to the Quebec L’Électeur, the official newspaper of Laurier and Mercier, whose publisher was the Liberal organizer Ernest Pacaud. 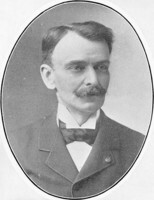 From 1888 to 1896 Lemieux pursued his education in both law and politics. He was called to the bar in 1891 after completing his llb degree at McGill University. He started his doctoral studies at the Université Laval in Montreal, completing them in 1896, the year he accepted a position there as professor of the history of law. 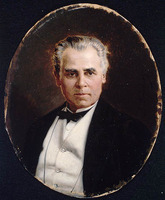 While Mercier got him to take part in public meetings and even sent him to take the Liberal message to French Canadians who had emigrated to the United States, Laurier kept an eye on his friend’s son and offered him much advice and encouragement. When Mercier had to face the scandal that finally cost him the premiership of Quebec in December 1891, one of Lemieux’s main character traits came to the fore: loyalty to the leader. 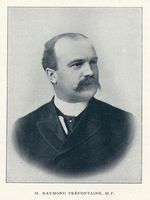 While Mercier’s support was crumbling, Lemieux and only a handful of others, including Gouin, Mercier’s son-in-law, publicly backed him, in particular during the campaign leading up to the provincial election of 8 March 1892. In April, Gouin and Lemieux, who were now fast friends, founded the law firm of Mercier, Gouin et Lemieux. The two young partners kept the firm going and thus were able to help Mercier financially. One of the defining moments in Lemieux’s public life occurred on 28 Nov. 1892 in Montreal’s Parc Sohmer, at a joint debate of the main political clubs in Montreal. On the mandatory topic of Canada’s political options, Lemieux brilliantly defended that of independence. At the end of the meeting he won the vote by a wide margin. In a letter dated 18 December, however, Laurier wrote to calm his enthusiasm: “If there were only French Canadians in confederation, I would not hesitate for an instant, but the idea has not matured sufficiently for the English population.” Lemieux learned from this that politics is often the art of compromise. On 15 May 1894 Lemieux married Berthe Jetté, a daughter of Louis-Amable Jetté*, who was a judge, dean of the faculty of law at the Université Laval in Montreal, and a member of the Liberal Party’s moderate wing. 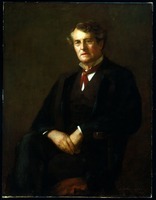 In the federal election of 1872, Jetté had run for the Parti National and roundly defeated Sir George-Étienne Cartier*. Berthe, a cultivated woman who knew her way around high society and politics, would be of great assistance to her husband throughout his career. Mercier died in the fall of that year. Lemieux showed little enthusiasm for his successor, Félix-Gabriel Marchand*, but remained strongly attached to the party nevertheless. It was during the course of Lemieux’s doctoral studies that an opportunity to play an active role in politics arose. In 1894 some Liberal voters from Gaspé came to meet him as he was leaving the courtroom and offered to nominate him as the candidate for that riding. After some coaxing, particularly by Laurier, he agreed to stand in this region, which had been fiercely Conservative ever since confederation. 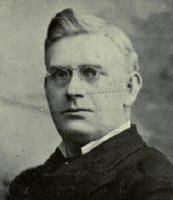 He finally ran his first campaign for the federal general election of 1896, during which he spoke at great length about the main issue, the Manitoba school question [see Thomas Greenway*]. He visited the entire riding, and was even the first candidate to go to the Îles de la Madeleine. Elected on 23 June by a margin of 42 votes, he became the first Liberal mp for Gaspé. He entered parliament at the same time as another young Liberal who would have a great future, Henri Bourassa*. It was, however, Lemieux whom the new prime minister, Laurier, called on to second the address in reply to the speech from the throne, an honour traditionally bestowed on a recruit considered promising by his leader. During his first years as an mp, Lemieux worked at building his reputation among his constituents and the party leaders. Since the riding of Gaspé, where all communication had to be done by sea, was one of the most isolated in the province of Quebec, Lemieux made many pleas for bridges, breakwaters, quays, short roads, and railways. He even clashed on this subject with the minister of public works, Joseph-Israël Tarte*, who seemed unwilling to spend the funds voted for Gaspé. Lemieux also became one of the spokesmen for a cause dear to Mercier by asking the commons to increase grants to the provinces. On this and other issues, he was the voice of the province at the federal level. This role was to be much more pronounced in 1905, the year his friend Lomer Gouin would become premier of Quebec. Lemieux would then be the direct intermediary between Gouin and Laurier. In 1899, though he was still only a backbencher, he was among those whom Sir Wilfrid Laurier invited for “consultation” on the possibility of sending troops to South Africa. Since the prime minister had already made his decision, Lemieux commented on it with a jest that would be noted in Le Devoir on 11 Nov. 1943: “Puisque le vin est tiré, il faut le Boer” (a pun on the aphorism, “Si le vin est tiré, il faut le boire” – meaning “It’s too late to turn back now”). Bourassa expressed his disagreement by clamorously resigning his seat. A little later Lemieux attempted to bring him back into Laurier’s entourage, but without success. Lemieux gradually worked his way into the inner circles of the Liberal Party. His strong points and abilities did not go unnoticed by its leaders, and they considered entrusting him with important responsibilities. 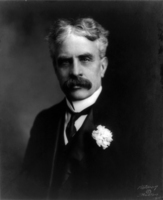 On 29 Jan. 1904 he was appointed solicitor general of Canada, an office that would enable him to attract more attention. In addition to the fact that he would plead the Canadian government’s cases before the Privy Council in London, the solicitor general was an official representative of the government, which guaranteed him a prominent place at meetings. In the November general election he was returned by acclamation in Gaspé – where his opponent withdrew at the last minute – and he also won in Nicolet. He would be the mp for both ridings until the end of 1906, because there was a controverted election in Nicolet. Following the decision on Nicolet, he would opt for Gaspé. On 4 June 1906 Lemieux had entered the federal cabinet: he became postmaster general, and was responsible for the Department of Labour. Like public works, labour was at that time a ministry par excellence for political patronage and partisanship. As postmaster general, Lemieux continued the work of his predecessors in lowering postal rates within the country and abolishing them in certain regions. He also reduced them for mail to Great Britain and the United States. 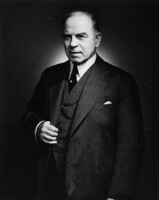 In 1907, as minister of labour, he sponsored the Industrial Disputes Investigation Act [see William Lyon Mackenzie King*; Frank Henry Sherman*]. Known as the Lemieux Act, this legislation was in fact the achievement of the deputy minister of labour, King, with whom Lemieux had a good personal relationship. Lemieux devoted much more attention and time, however, to his work in the party than to his cabinet duties. He organized elections, sometimes chose the candidates, and wrote the campaign material. When Laurier was unable to travel, Lemieux often took his place. In 1907, following riots against Asians in Vancouver, Lemieux negotiated an agreement between the Canadian and Japanese governments by which Japan agreed to reduce the number of emigrants to Canada. This diplomatic accord, which gave Lemieux an opportunity to meet Emperor Mutsuhito, was the first important one negotiated by Canada without the participation of Britain and was a great victory for Canada in her quest for sovereignty in diplomatic matters. Lemieux also represented the country at the opening of the South African parliament in 1910, at which he delivered a brilliant speech. Using Canada as an example, he showed that a country made up of two peoples who had formerly been enemies could develop within the British empire. His journey ended in Rome, where he met Cardinal Rafael Merry del Val, a friend of Laurier and of Canadian Liberals, in order to set out the complaints of the Liberal Party and the Canadian government about the interference of some Canadian Catholic bishops. While there, he also met Pope Pius X. Many more diplomatic missions and party assignments lay ahead for Lemieux. Thus he would meet two kings of Great Britain and Ireland, Edward VII and George V, presidents Émile Loubet and Armand Fallières of France, and at least one other pope, Pius XI. 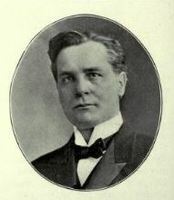 Lemieux was now one of the leaders of the party, and it was in this capacity that he was most useful to Laurier. He continued his work as election organizer and, especially from 1907, the year in which Bourassa cut all his ties with Laurier and left Ottawa, he had the task of attacking the Nationalistes. This political movement, of which Bourassa was the mentor, was mainly an offshoot of the Liberal Party, and it demanded, among other things, Canadian independence from Great Britain. During the 1911 election campaign, Lemieux was constantly forced to confront an aggressive Bourassa – allied with the Quebec Conservatives under Frederick Debartzch Monk* – who compelled him to deal with the question of the navy that parliament had agreed to create under a law enacted in 1910. Thus, as the new minister of marine and fisheries, he had to win acceptance in Quebec for this Canadian navy. The struggle between these two former allies and friends, conducted in the press and at public meetings, reached a climax on 13 August in Saint-Hyacinthe before an estimated 30,000 people. For the Liberals, the defeat of September 1911 was a bitter one. Lemieux lost his seat in Gaspé, where the election took place four days after the national vote, but he was returned in Rouville. To make up for the reduced income that resulted from his move into the opposition, he went back to teaching and his law practice. But for the most part, the faithful lieutenant remained by Laurier’s side in the House of Commons. He busied himself dealing with issues of current concern and of national interest, and he made virulent attacks on the Nationalistes and Conservatives. World War I first led Lemieux to encourage the recruitment of volunteers, as well as remain fiercely opposed to conscription and the Union government, about which he would caution Laurier in June 1917. He was afraid that conscription would be contrary to the interests of French Canadians and would mean the end of Laurier’s career in the province of Quebec. At his leader’s side, he fought passionately against the Liberal supporters of the Union government. At the same time, he worked to free Henri Béland, a physician and mp for the riding of Beauce, who was detained in Germany from June 1915 to May 1918. Lemieux’s rejoicing at the release of Béland would be short-lived; his only remaining son, Rodolphe, who was nicknamed Roddie, was killed in action in France in August 1918, and in February 1919 Laurier died. Facing so many losses, Lemieux began to wrestle with himself about his political future. After Laurier’s death a national convention was called to elect a new Liberal leader. Sir Robert Laird Borden, the prime minister of Canada, wanted to take advantage of dissension within the Liberal ranks to entice Lemieux and Gouin (and he also tried his luck with Ernest Lapointe*) into his Union cabinet, but his efforts were in vain. At the convention held in August 1919, Lemieux and Gouin supported William Stevens Fielding* rather than King. Lemieux made this choice mainly because he felt that Fielding represented both the old guard and Laurier’s economic policy, which he himself had formulated. Lemieux’s questioning came to an end in December 1921, when the Liberals won the election. Against the advice of Lapointe, who had become one of his principal advisers, King invited Lemieux to come back as minister of marine and fisheries. He declined the offer, on the grounds that the deaths of his son and Laurier had taken away his enthusiasm for party politics. He asked instead for appointment as speaker of the house. He may have realized that, with a new leader who had his own circle, his situation had changed, and that it was better to retire before being shown the door. In this way Lemieux made it possible for the prime minister to take control of the party without creating internal dissent. True to his convictions, he put the Liberals’ interests ahead of his own. 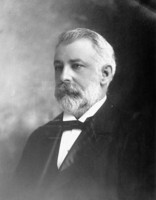 He became speaker of the house in March 1922 and retained this office continuously until 1930, despite the tradition of rotating speakers and pressure by Liberal mps from English-speaking Canada. Lemieux’s new duties distanced him somewhat from partisan politics. He took advantage of this change to renew his friendship with Bourassa (who had himself become reconciled with the Liberal family), to travel, and to obtain certain marks of recognition for his country and his party. In 1922, for instance, the French government ceded some land on which to erect what would become the Canadian war memorial at Vimy, dedicated to the memory of the soldiers who died in World War I. And while he was teaching Canadian history at the Sorbonne in 1928, Lemieux persuaded the officials of Paris to name a street after Wilfrid Laurier. During election campaigns he continued to put his eloquence and pen at the service of his party. King repeatedly asked him to come back into the cabinet, or to accept the office of lieutenant governor of Quebec, but he refused all offers until the eve of the 1930 election, when King, seeing defeat approaching, gave him a seat in the Senate. Lemieux accepted, but he was well aware that this was the end for him. His health deteriorated to the point where he no longer made an appearance in parliament after 1935. He died of kidney failure on 28 Sept. 1937. Over the years Lemieux received a great many honours. In 1908 he was made a member of the Royal Society of Canada, and he served as its president in 1918–19. He received honorary doctorates from the College of Ottawa in 1907, Bishop’s College in 1928, and the University of Glasgow in 1936. France made him a knight (1906), officer (1910), and then commander (1925) of the Legion of Honour, and Rome named him commander (1924) and grand cross (1930) of the Order of St Gregory the Great. In Paris he was elected a member of the Académie des Sciences Morales et Politiques (1927), the Académie Diplomatique Internationale (1929), and the Académie des Sciences Coloniales (1929). In 1917 a township in the Gaspé was named in his honour, as was a municipality in the riding of Nicolet in 1922. Rodolphe Lemieux was one of the most important national political figures of his time. At the height of his career he certainly had his equals among French Canadian Liberals, but only one, Wilfrid Laurier, was his superior. Thanks to his privileged connections with Laurier and Gouin, Lemieux directed the course of political life in Quebec for many years. Throughout his career, he showed exemplary loyalty to his leaders – first Mercier and then Laurier – and also to his party. That he left King a clear field in December 1921 and thereby avoided quarrels confirms his fidelity. Lemieux entered active politics at a time when Laurier was putting in place a system by which the party’s position took precedence over personal ideas. By following that path, by ideological conviction, and by loyalty to his leader, he became the very prototype of the party man, whose objective is the advancement of the group, sometimes even at his own expense. Very little has been written about Rodolphe Lemieux; his importance has without a doubt been eclipsed by that of Sir Wilfrid Laurier. The only existing study of him is the author’s Rodolphe Lemieux et le Parti libéral, 1866–1937: le chevalier du roi (Sainte-Foy [Québec], 2000), which was a follow-up to the author’s phd thesis, defended in 1997. A master’s thesis, on Lemieux’s trip to Japan, is worth mentioning: Honorius Lacombe, “La mission Lemieux au Japon, 1907–1908” (mémoire de ma, univ. d’Ottawa, 1951). Lemieux figures in the principal biographical works published about his era. The Fonds Rodolphe Lemieux (R5812-0-6), held at LAC, is relatively disappointing since it contains little information about him; on the other hand, it is an important source for those who are interested in speeches and other official documents (for example, much documentation relating to his mission to Japan can be found here). The first part of what seem to be memoirs is also located here: the documents in question are typescripts, occasionally annotated by hand, written by Lemieux in the first person singular, and arranged in chronological order, which recount his childhood, his youth, his family life, and the beginnings of his public life. There is an account of his trip to Japan in 1907 and another about his visit to South Africa in 1910. There is also a Sir Rodolphe Lemieux fonds (VII-022) at the Arch. des Ursulines de Trois-Rivières, Que., and a file there on his daughter Clothilde, a nun (III-C-2.13-725); these two sources contain the correspondence between Lemieux and his daughter. At the Centre de Recherche en Civilisation Canadienne-Française (Ottawa) part of a collection of documents put together by his wife, Berthe, as well as several photographs (P127), can be examined. At LAC, Lemieux’s correspondence is held mainly in the fonds for Sir Wilfrid Laurier (R10811-0-X), William Lyon Mackenzie King (R10383-0-6), Sir Robert Borden (R6113-0-X), and Henri Bourassa (R8069-0-5) as well as in the Dandurand-Marchand coll. (R8219-0-2). In 1910 and 1911 Lemieux published articles in certain Liberal newspapers under the pseudonyms Ajax and Saint-Denis. He also wrote speeches and other works, including: Wilfrid Laurier: conférence devant le Club national de Montréal (Montréal, 1897); “The intellectual preference,” Univ. Magazine (Montreal), 6 (1907): 356–70; Le service des postes; quelques statistiques: discours de l’hon. M. Lemieux à Niagara Falls, Ont. (n.p., 1908); Speeches, by Hon. Rodolphe Lemieux, postmaster general of Canada, delivered at the Champlain Tercentenary, 1909 (n.p., ); Speech delivered by the Honourable Rodolphe Lemieux, k.c., postmaster general of Canada, on the occasion of the inauguration of the South African union (n.p., ); Une industrie, une région, un homme (Montréal, [1915? ]); Le monument du souvenir canadien (Montréal, 1931); and Alexandre Taschereau (Montréal, [1935?]). As well, Lemieux was the author of two books on the law: De la contrainte par corps: thèse pour le doctorat présentée et soutenue le 1er mai 1896 (Montréal, 1896) and Les origines du droit franco-canadien … (Montréal, 1900). BANQ-CAM, CE601-S1, 15 mai 1894; CE601-S51, 3 nov. 1866; CE604-S4, 31 janv. 1859. Le Devoir, 29 sept., 1er oct. 1937. Le Droit (Ottawa), 8 mars 1945. René Castonguay, “LEMIEUX, RODOLPHE (baptized Rodolphe-Toussaint),” in Dictionary of Canadian Biography, vol. 16, University of Toronto/Université Laval, 2003–, accessed April 24, 2019, http://www.biographi.ca/en/bio/lemieux_rodolphe_16E.html.